Just about the time you are thinking your home budget is under control, a major repair tosses in a monkey wrench. While home repairs and improvements are a part of the cost of owning a house, there are strategies to avoid being caught by surprise by a massively expensive project. According to repair website HomeAdvisor, the average homeowner spends close to $7,000 on home improvements throughout the year. Budgeting in a reasonable annual 2% to 5% of your home’s value, will provide for necessary preventive maintenance and could head off major expenses. Here are a few wallet draining projects to be aware of, with tips for minimizing the expense. A foundation supports the entire weight and structure of your home and is vitally important. The moment a structural issue appears, it should be addressed. For example, faults in a foundation wall could cost $4,000 to repair, but if ignored that cost could jump to $10,000 or more. It is helpful to keep plants away from the structure so you can do a visual inspection of the above ground portion of your foundation. Make sure land is graded so that water flows away from the structure. It is critical to keep water away from the foundation walls, so make sure gutters and downspouts are maintained so they lead water away from the house. The age of your foundation is also a factor. The concrete used 100 years ago is not the same as today. If you purchase an older home, have the foundation inspected, and plan for the cost of repair. A home’s heating and cooling system works hard to keep you comfortable. But when it gives up the ghost, expect to shell out a few thousand to replace it. The cost depends on the size of the home and the complexity of the system. To make sure your heating and cooling system has a long, useful life, keep it maintained. You can DIY this service, which includes things like replacing filters and flushing out the AC’s condenser coil. Consider hiring a professional to check your heating system before winter sets in, and your AC system in the spring. 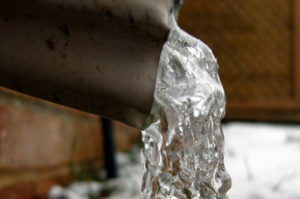 Winter is the worst time of year for water damage- from burst pipes to leaky roofs. Well before winter, wrap your pipes insulated material. Routinely check hoses and pipes for cracks and leaks. During extreme cold, it’s a good idea to allow your faucet to drip just a little bit. A little bit of water flow keeps pressure low in the pipes. Low pressure, means less of a chance of those pipes bursting! Also, keep interior doors open in the house to distribute heat closer to pipes. During the summer, check your roof for loose shingles or other problems. You don’t want to be addressing leaks in the winter when the snow or wind is flying. Being smart about checking and maintaining pipes and roofs will prevent costly water damage. Water will immediately destroy sheetrock. Replacing a ceiling or walls can be very expensive. Imagine the cost of replacing your entire lawn. Sod installation is a huge expense that in many cases can be avoided. Poor soil and pest like grub worms can be addressed if you jump on it before a problem becomes a disaster. A simple DIY kit from the hardware store will tell you what nutrients are missing and what type of fertilizer to use. Grubs can eat through a lawn pretty fast, but they can also be surrounded and mitigated with an easy spray on application. 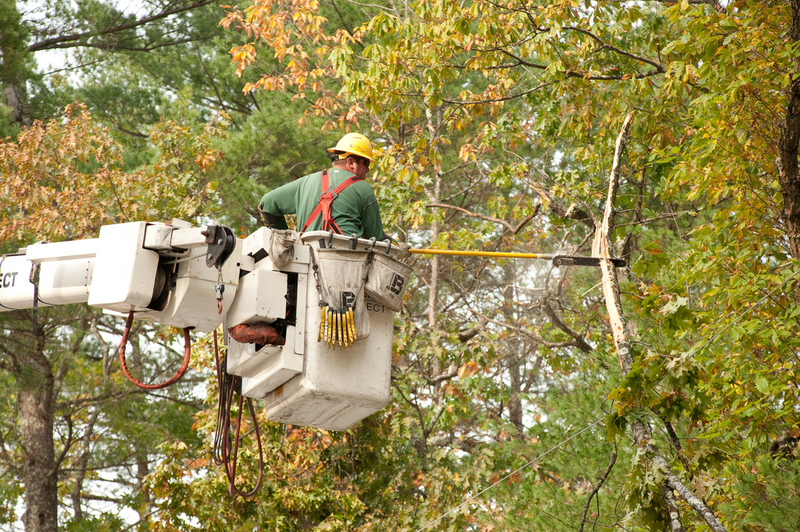 Removing a tree costs around $750 on average, but can jump into the thousands of dollars if you let the project grow. Deep roots can pull up a house foundation or long branches can impact roofs or get tangled in power lines. Periodic trimming can avoid many problems. But if a tree is in a bad location, its best to remove it while it is still relatively small- it will save you big money in the long run. Some maintenance in your home can be deferred. Paint the basement? That can probably be a lower priority. The larger ticket items that will only get more expensive as time goes on should be at the top of the list. 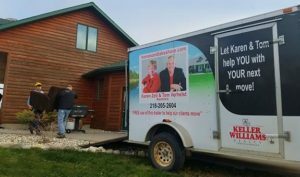 We offer use of a free moving trailer to our client when buying or selling a home with us!